The Google crew is at it again. 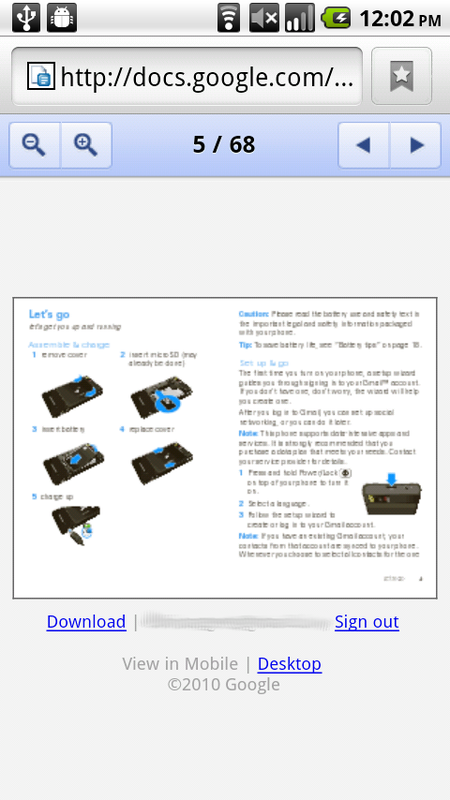 This time they’ve updated the Docs viewer to be much more mobile friendly in your Android browser. You can now view .docx and PDFs with ease. Happy? Today we’re also releasing a mobile version of the Google Docs viewer for Android, i*hone and i*ad to help you view PDFs, .ppt, .doc and .docx files you’ve uploaded to your documents list, without needing to download the file. 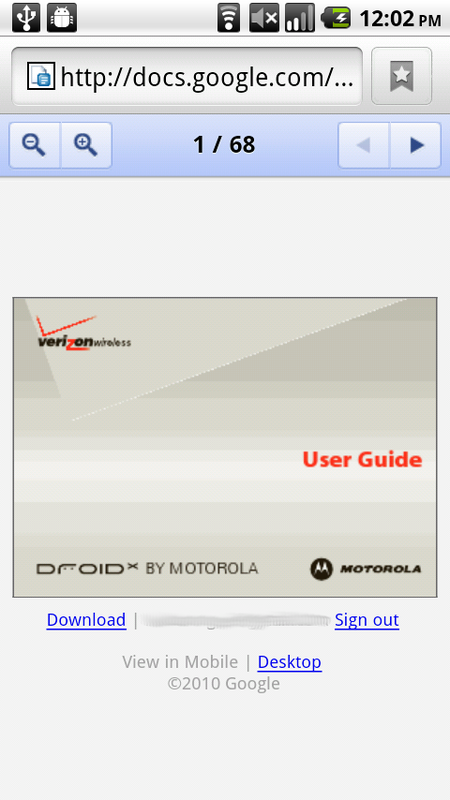 Oh and those screenshots are of the Droid X userguide which for some reason, people seem to think has been “leaked.” This thing has been out since Wednesday when the media received their review models. Download the full non-watermarked version here. Rumor: DROID 2 Hitting Stores on August 23rd?